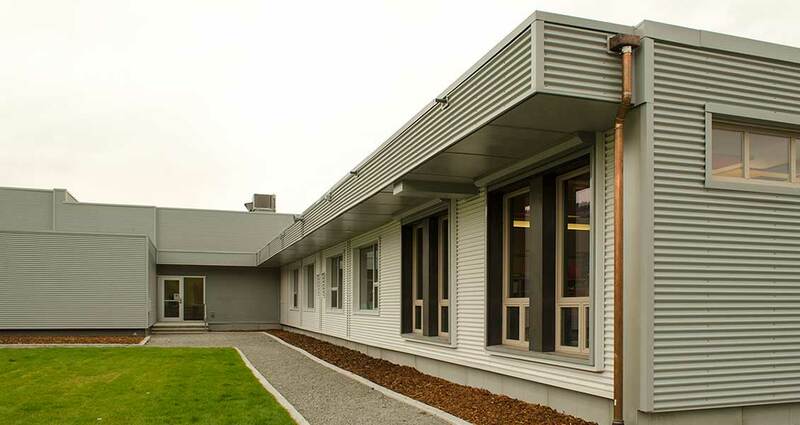 As part of a Ministry of Education experiment the scope of work for this project included the construction and installation of eight modular class rooms, the reconstruction of the one storey elementary school core addition, a mechanical room on a second storey, recladding of large portions of the buildings, and relocation of the existing Strong Start Unit. The project design is based on 21st Century Learning ideas, focussing on learner engagement, differentiated instruction and collaboration. 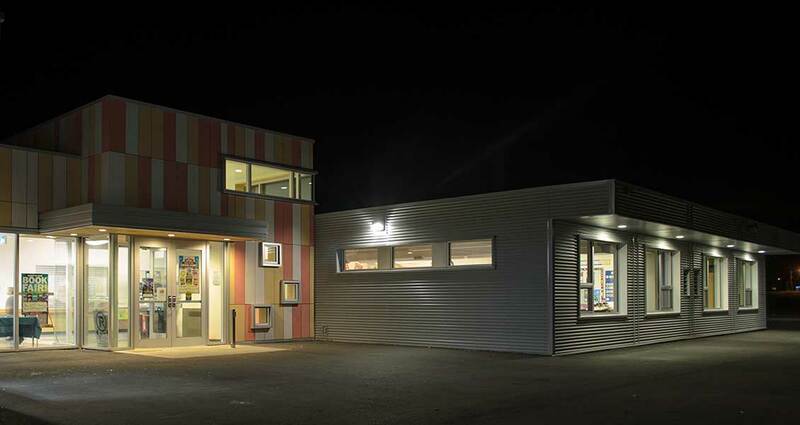 With this vision in mind, the architectural team focused on the design of different-sized learning environments, accommodate by modular classrooms. 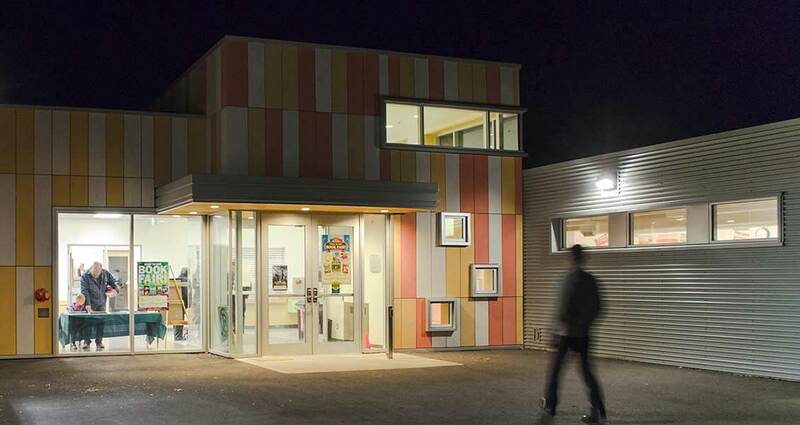 Based on Strong Start modular classrooms, each pod of 4 classrooms were redesigned to create common learning and project spaces. Maximizing all usable space was ever important, so the design combined learning and circulation space and created extended informal learning and interactive spaces through niches created by wall benches in the corridors. 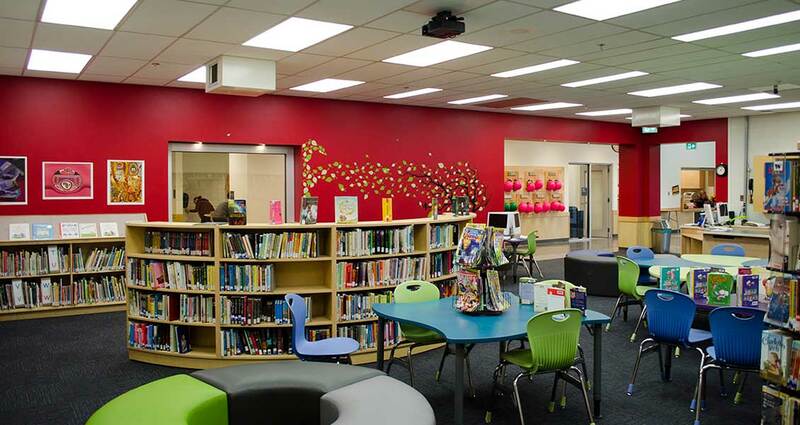 The school library, or “learning commons,” is the vibrant heart of the school, and the existing space was opened up, creating a thriving space for collaborative and individual learning.